P.S. 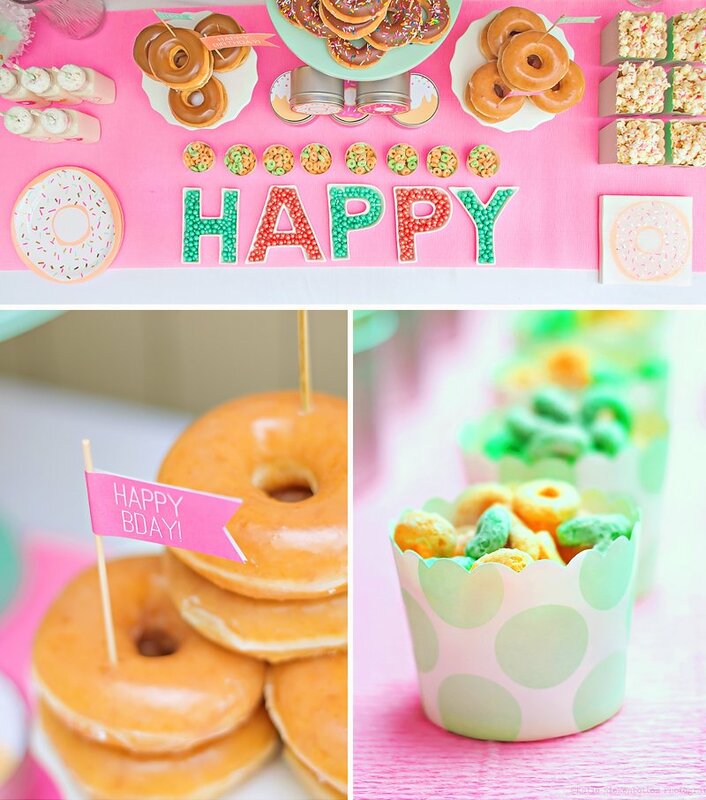 Find more Donut Party Ideas Here! 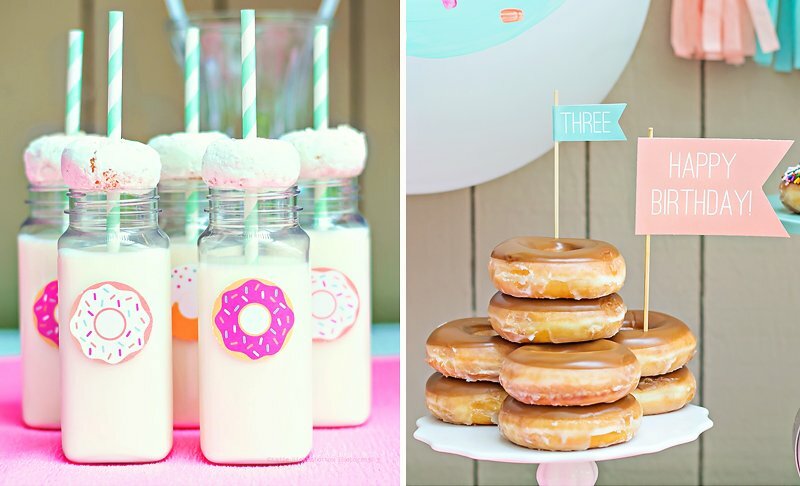 Milk bottles with donut decals, mint striped straws & mini powdered donuts! 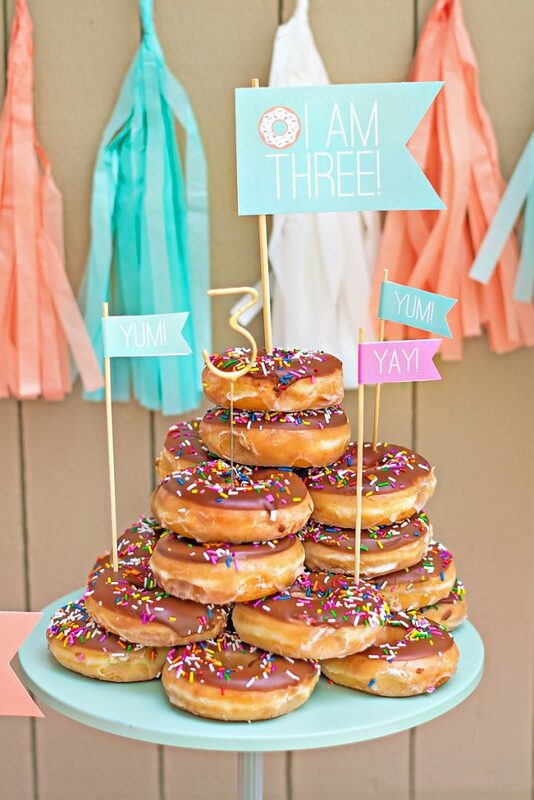 When our shop photographers son says his favorite food is donuts and he is turning 3 you have to throw a Crazy for Donuts party! 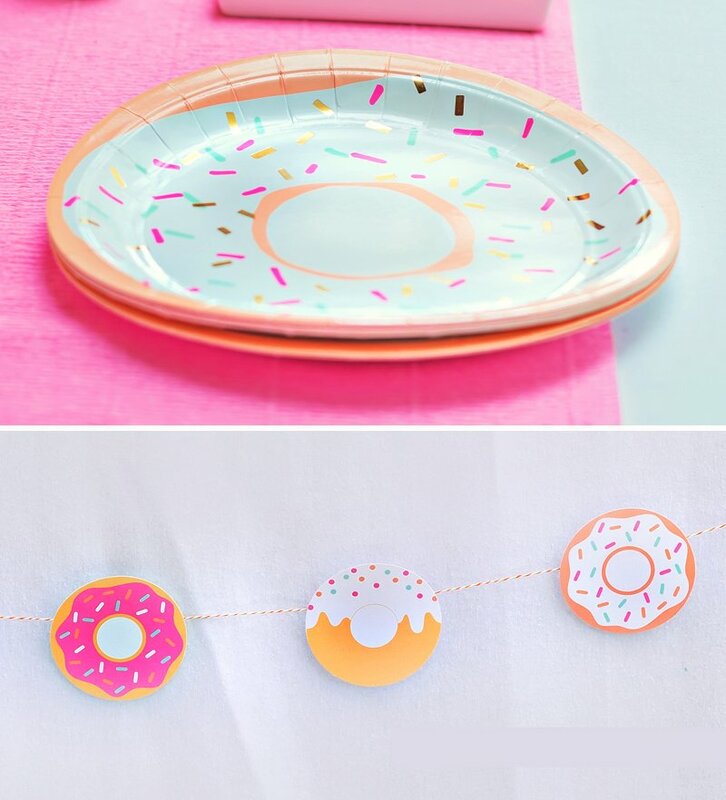 We just received in the foil donut plates and napkins so that set our color palette: mint, peach, coral, gold and neon pink! 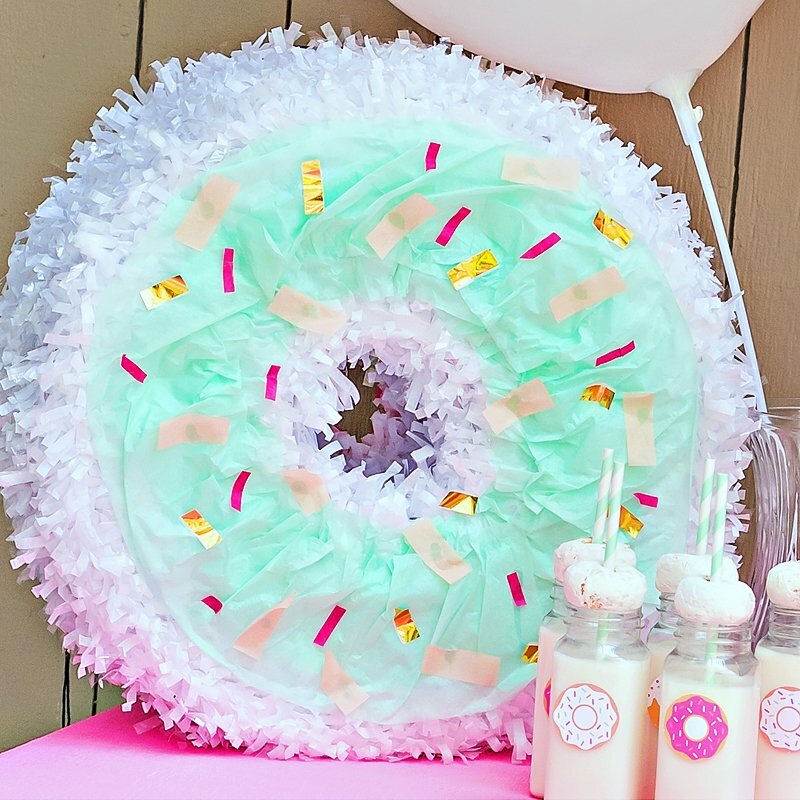 Rather than a traditional cake, we made donut towers so guests could pick out their favorite. 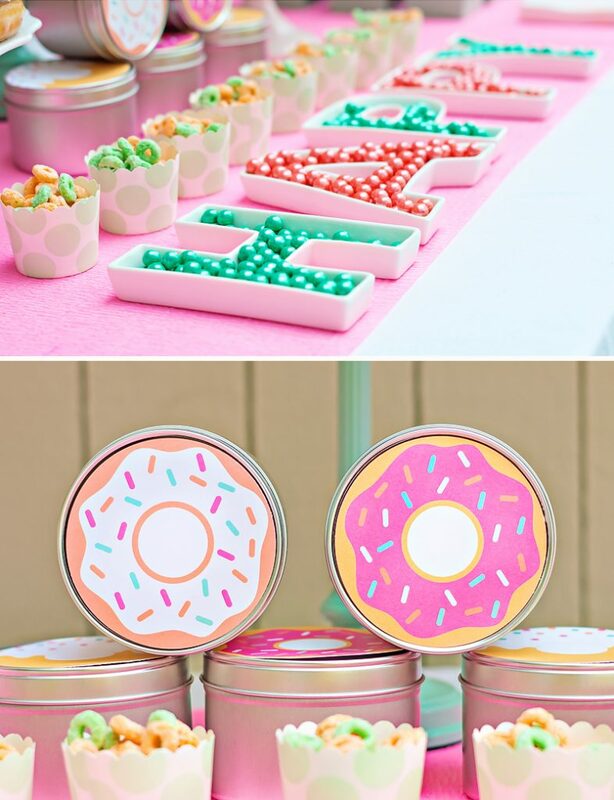 Other snacks included popcorn, sixlets, fruit loops and milk. 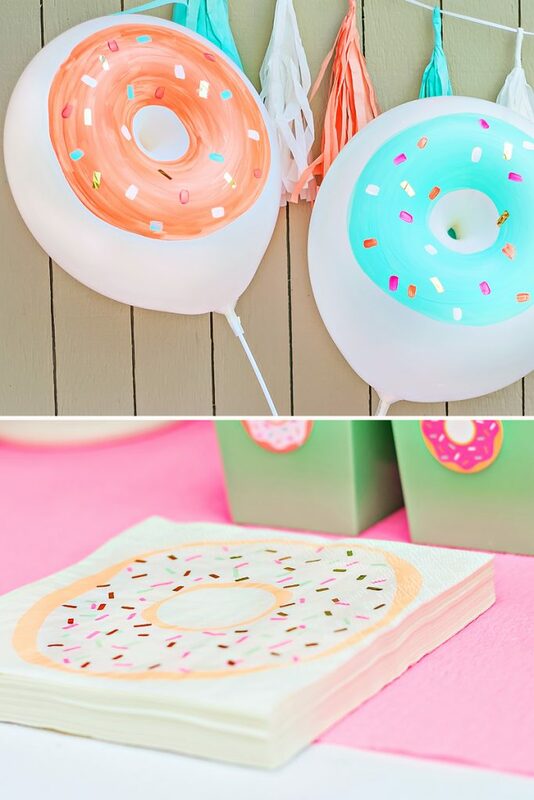 One of my favorite details of this party is the donut balloons and pinata. 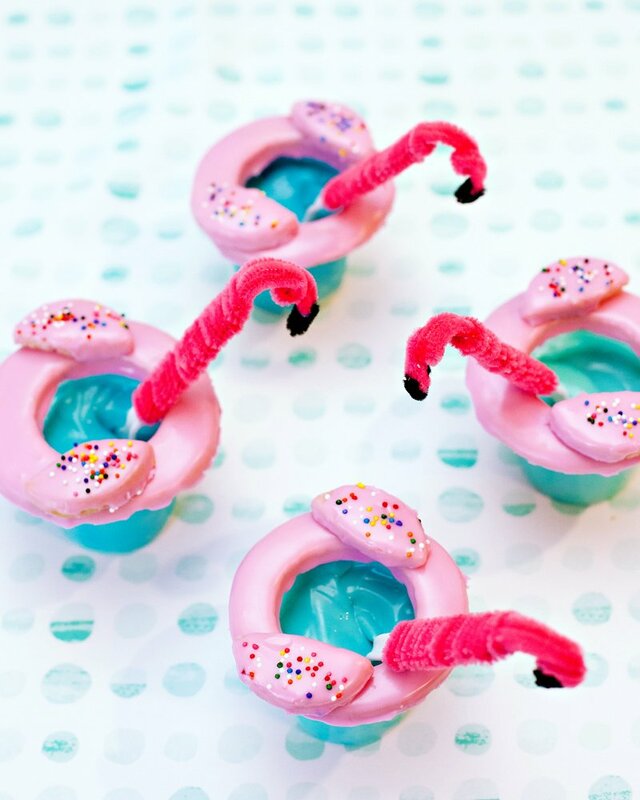 We crafted those cuties and they were a hit! 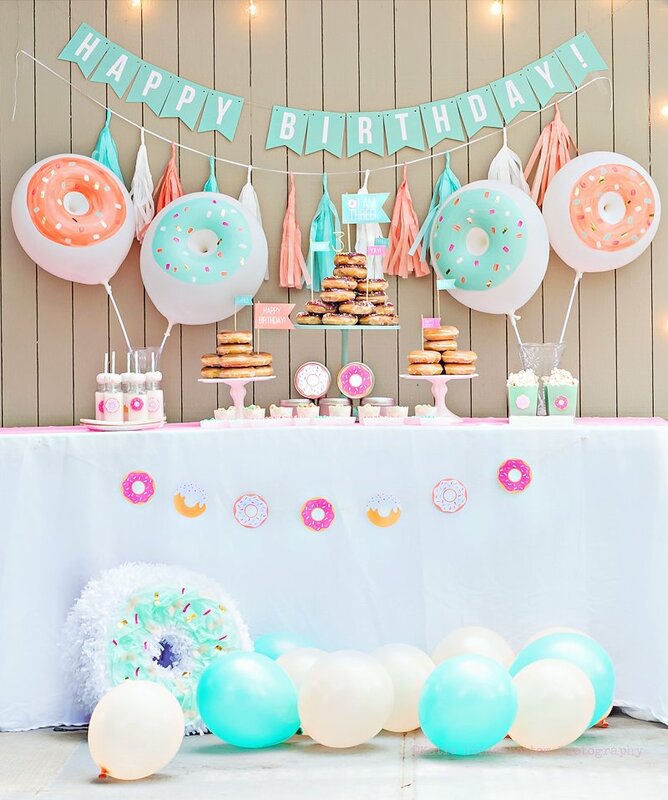 Goodness, those balloons and the piñata. Love!! 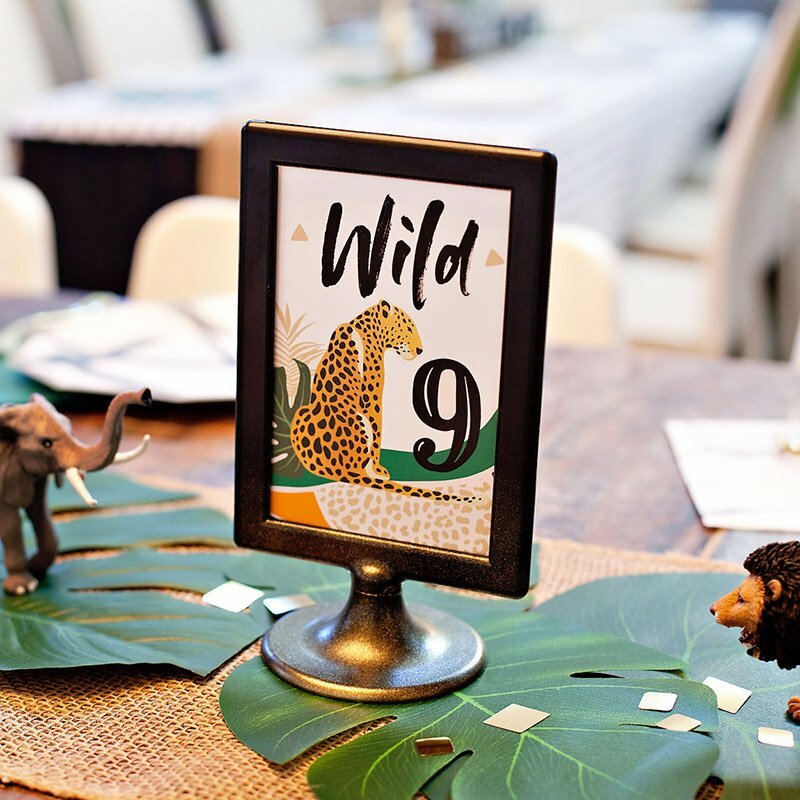 We are totally IN LOVE with this party! 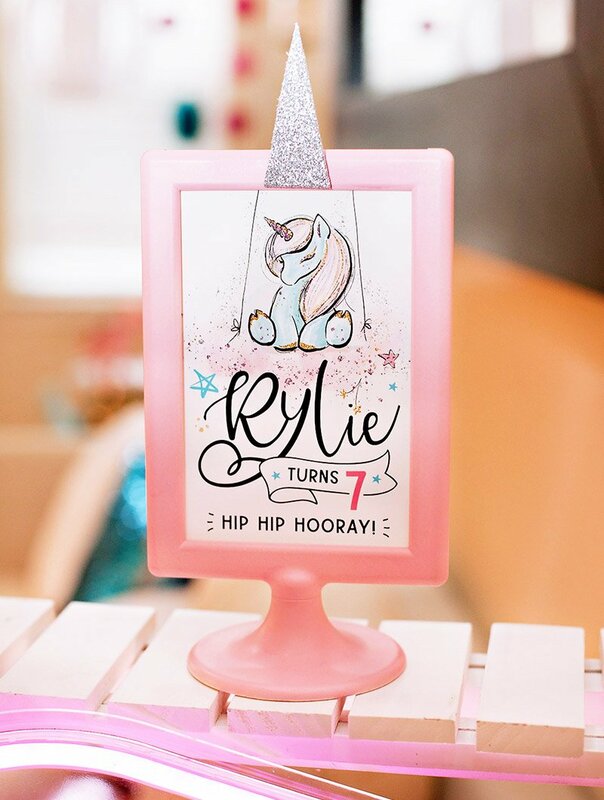 Great job Fancy That!! 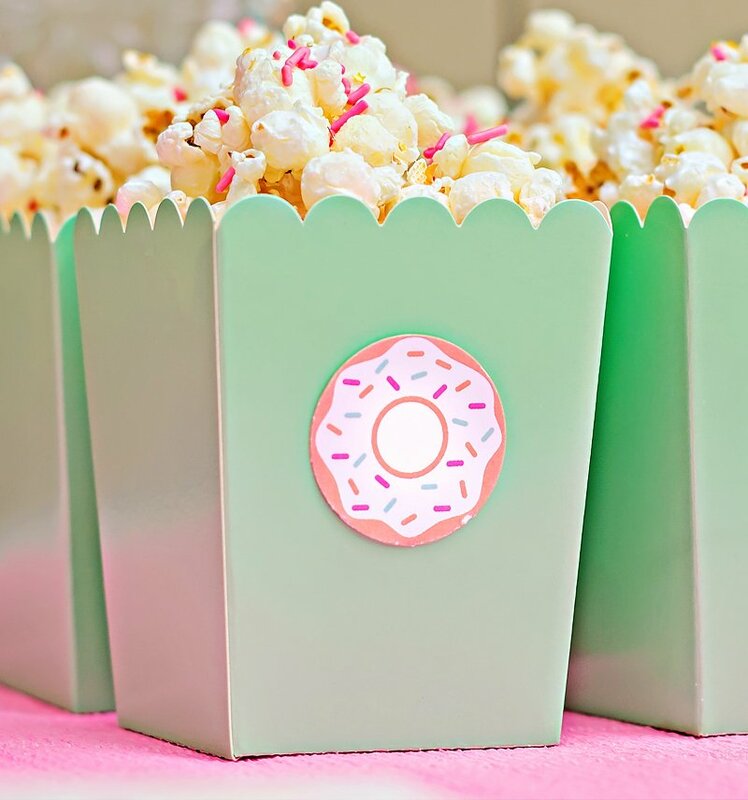 Where did you find this popcorn?